His Royal Highness arrived in St Kitts and Nevis to an official welcome by way of a military parade at Port Zante. There, Prince Harry formally inspected the Guard, before departing with the Governor General, His Excellency Sir Tapley Seaton, for his first engagement, a youth rally at Brimstone Hill Fortress. This spectacular UNESCO World Heritage Site sits 800 feet above sea level, in the shadow of Mount Liamugia. 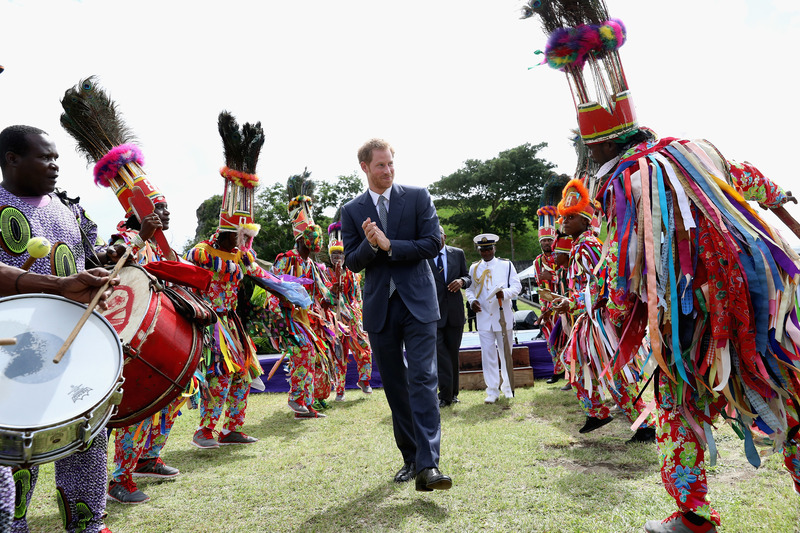 Here, Prince Harry watched traditional dances, heard Caribbean songs and listened to local poetry recitals, all led by the inspiring young people of this country. 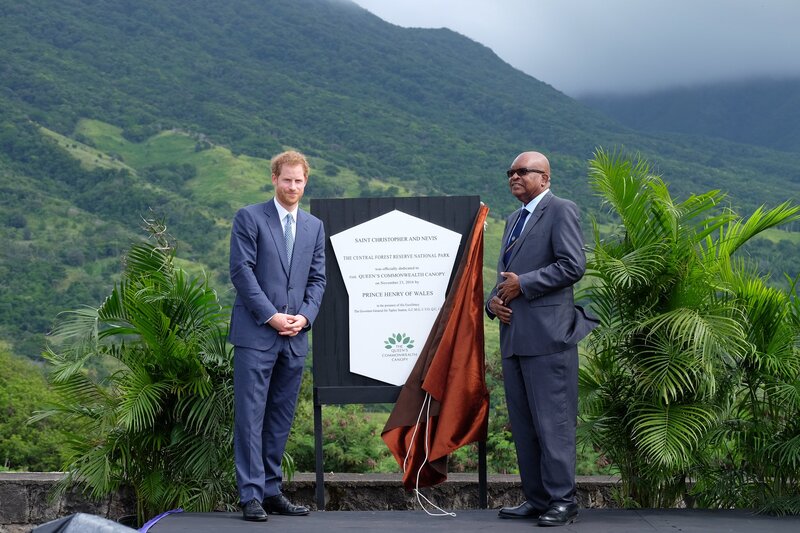 It was here that His Royal Highness also unveiled a St Kitts and Nevis dedication to The Queens Commonwealth Canopy Project – all of the forest above an elevation of 1000 feet within the Central Forest Reserve National Park which also forms an impressive backdrop to the performance itself. Prince Harry then travelled by boat to Charlestown Pier on the neighbouring island of Nevis. As he arrived, His Royal Highness was welcomed to the island by local residents of Nevis, before travelling to a local turtle conservation initiative on Lovers Beach. The Nevis Turtle Group was formed in 2003 by Mr Lemuel Pemberton, and is dedicated to developing a Sea Turtle Conservation Programme for Nevis that, by involving the local community, will ensure that sea turtles are protected for years to come. Volunteers work every night on the beaches that surround Nevis tagging sea turtles and collecting information about their nesting habits and movements. 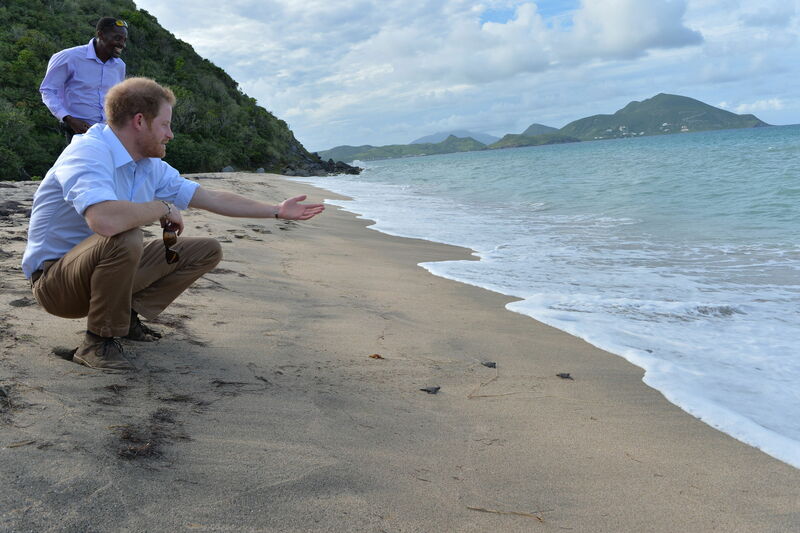 Alongside Mr Pemberton, Prince Harry inspected the turtle nests along the beach, many of which can include up to 500 turtle eggs per nest. That evening, His Royal Highness returned to St Kitts to attend a reception hosted by the Governor General at Government House. Prince Harry met young leaders and people from St Kitts and Nevis including the country's Chevening Scholars and Commonwealth Youth organisations. Prince Harry is honoured to be visiting the Caribbean in the year of The Queen's 90th birthday, and to continue to develop The Royal Family's strong bonds with the people of these important Commonwealth countries. 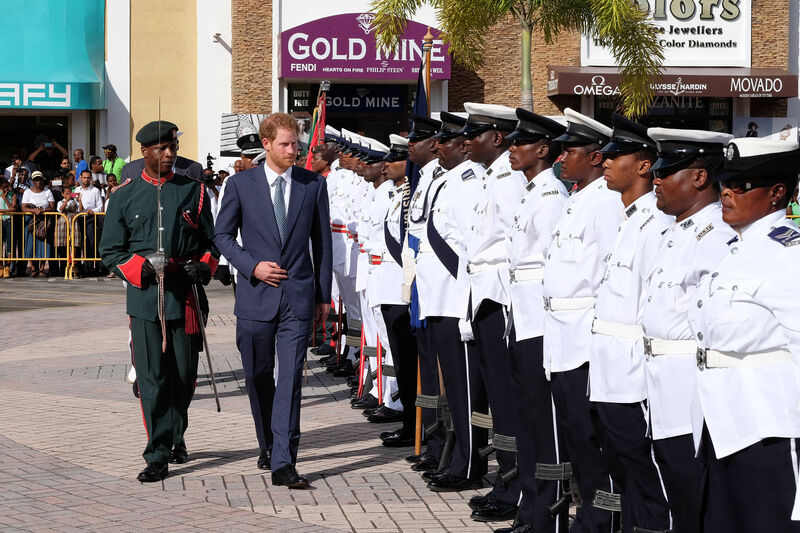 Find out more about Prince Harry's visit to the Caribbean here.